A new, Australian-led international consortium, Australian Industrial Energy (AIE), announced yesterday that it has selected Port Kembla as the site for NSW's first Liquefied Natural Gas (LNG) Import Terminal. The terminal would have the ability to supply in excess of 100 PJ per annum, sufficient to meet over 70 per cent of NSW's total gas needs. The LNG import terminal will be named the Port Kembla Gas Terminal (PKGT). Development and construction of the terminal will make Australian Industrial Energy a central player in the NSW and broader east coast gas market. The Port Kembla Gas Terminal will deliver sustainable benefits locally in terms of energy, employment and economic security. Construction of the terminal is likely to require a capital investment of between $200m and $300m, generate around 150 jobs during the construction phase and 40-50 ongoing roles. Importantly, the increased certainty of affordable gas supply to NSW would help maintain the financial viability and prosperity of industries employing more than 15,000 people across the Illawarra region and an estimated further 300,000 manufacturing jobs throughout NSW that are reliant on available and affordable natural gas. The Port Kembla Gas Terminal has received strong support from a wide range or regional business and major Industrial and Commercial gas customers. AIE has to date entered into 12 Memorandum of Understandings (MoU’s) for the supply of gas, providing the AIE Consortium confidence to move to the detailed engineering phase of the project. The AIE Consortium brings unparalleled expertise and global gas purchasing power to its NSW Port Kembla project. The consortium comprises Mr Andrew Forrest’s Squadron Energy, global energy infrastructure investor Marubeni Corporation and JERA Co. Inc. the world’s largest buyer of LNG. AIE Chief Executive Officer, Mr James Baulderstone, said: “NSW is facing significant challenges in ensuring available and affordable gas supplies and we are working to make this project a reality as quickly as possible. “ In recent times wholesale gas prices have doubled, and in many cases tripled in NSW. In addition, many industrial companies are now unable to secure gas for any period longer than 12 months. “JERA is very excited to be working with our colleagues at Marubeni who have world-wide energy investment and infrastructure expertise and of course Squadron Energy which brings deep knowledge of the Australian gas and energy markets. “Together, we believe we can make a major contribution to NSW and east coast energy supply competition and security,” Mr Takagi said. New South Wales has for decades relied on other Australian States for virtually all of the natural gas required to power its industries; support electricity generation; and supply household heating and cooking needs. Rising energy prices; a lack of supply competition; and ongoing uncertainty around sufficient gas availability are consistent concerns for the gas-reliant 500 heavy industrial users and 33,000 small business employing over 300,000 workers. The Port Kembla Gas Terminal is a comparatively low-cost and speedy alternative to the construction of far more expensive new inter-state or cross-country pipelines to transport gas to NSW and the wider seaboard. As a gateway to global sources of natural gas, the Port Kembla Gas Terminal could underpin the vast majority of the State’s entire natural gas needs by 2020, subject to approvals processes. AIE’s project will help revolutionise the Australian east coast energy landscape, bringing new supplier competition and gas volumes to NSW. 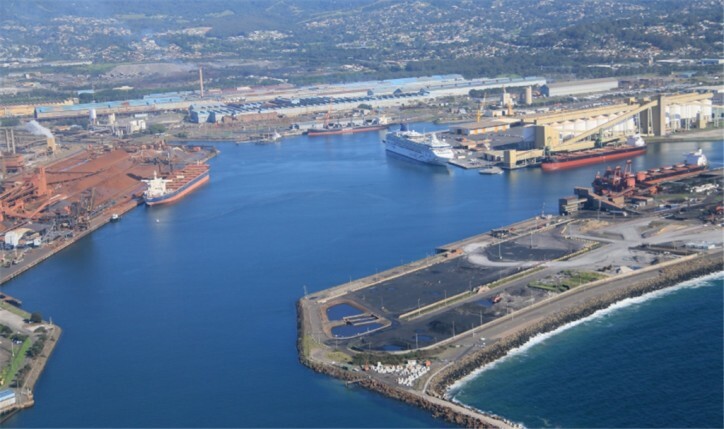 Port Kembla was chosen after a comprehensive evaluation process looking at port operations, berth configuration options, proximity to the existing east coast gas transmission network and support from the local business community. Regional Development Australia (RDA), Illawarra, noted in a recent IRIS report that 70% of Illawarra business expect their energy bills to increase in the next year, placing enormous pressure on their ability to keep operating profitably. In further letters of support for AIE’s project, key national, state and regional business groups, including Ai Group (Australian Industry Group); Illawarra Business Chamber and local business network, i3net, noted that Eastern Australia remains beset by serious energy supply and pricing challenges which AIE’s proposed import terminal would significantly assist in overcoming. With the port selection process now finalised, AIE is targeting the lodgement of relevant planning and development applications within the next few months. While the LNG import terminal is its first priority, AIE is also investigating the development of an associated gas-fired electricity generation plant which could play a key role in ensuring adequate long-term electricity supply security and competition for NSW and the wider east coast energy market. A decision on the potential power plant, its exact location and project timing is currently being assessed.